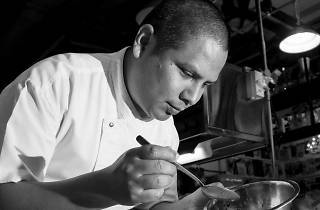 Peruvian chef Daniel Chavez, with Les Amis under his belt and his own restaurant OLA Cocina Del Mar, pays tribute to his distinctive national cuisine. 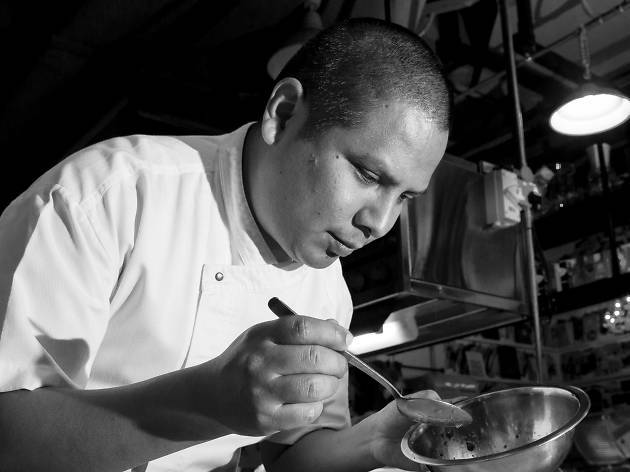 The eight plates travel through Peru's immigration history, presenting Chavez's rendition of Japanese, Chinese, Amazonian and 'Incan' flavours, amongst others. As potato is the staple of Peruvian cuisine, it has a strong presence throughout the eight courses, appearing as foam, in stews and as gnocchi.